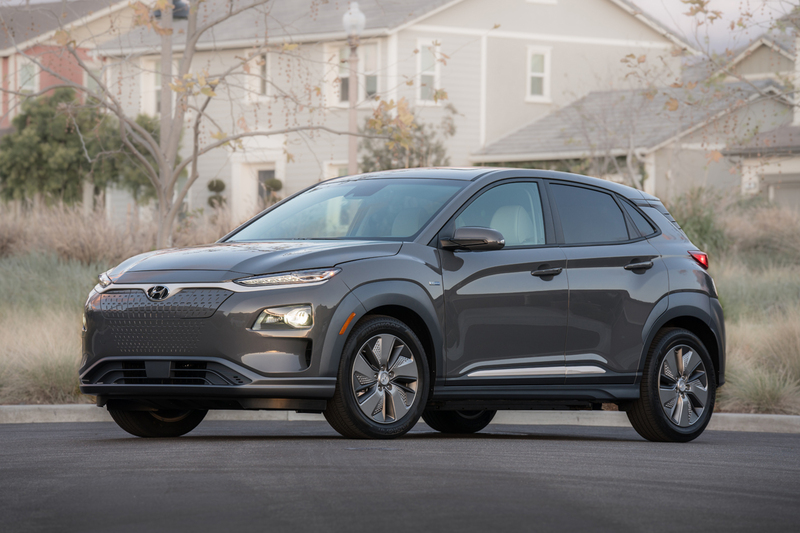 As if the sporty and already popular Hyundai Kona compact crossover itself wasn’t enough, at the New York Auto Show they created even more buzz by unveiling the Hyundai Kona Electric with some 250 miles of range. 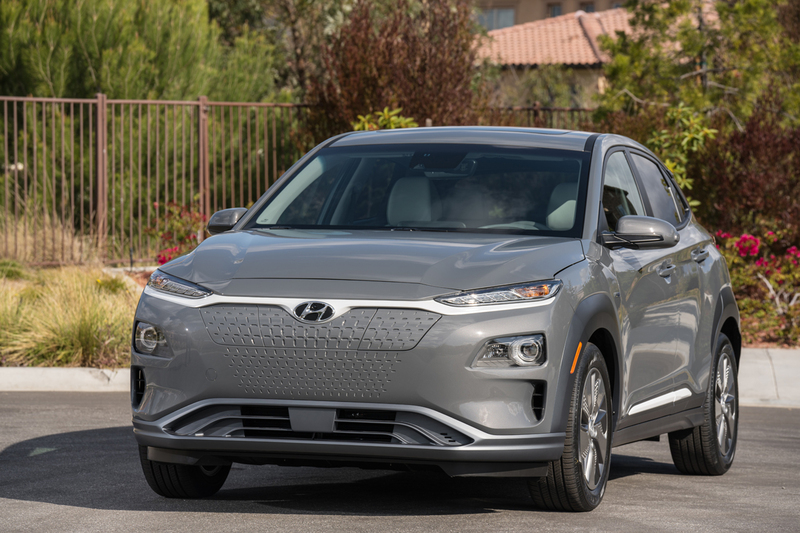 Jumping into the hot new affordable compact EV class, the new 2019 Hyundai Kona will offer a standard range of 250 miles per charge, a number that beats standard ranges Chevy Bolt, Nissan Leaf, VW eGolf, Ford Focus Electric and even the new Tesla Model 3. 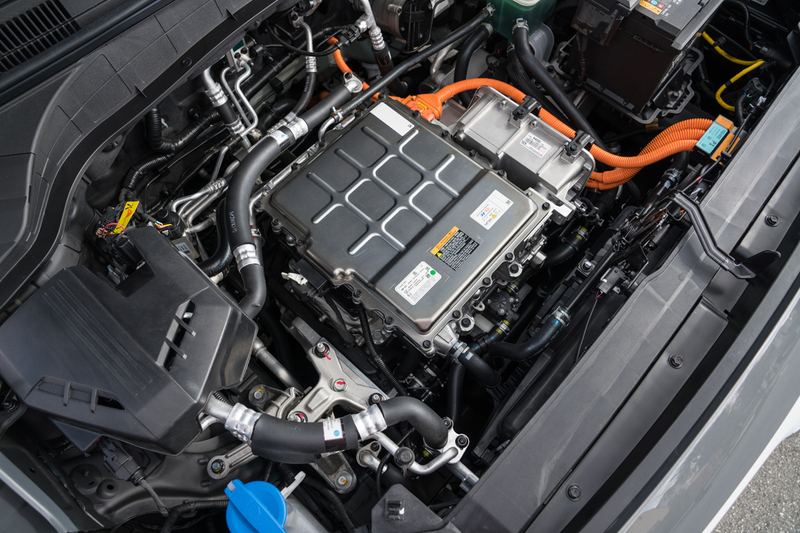 Adding to its appeal, DC Fast Charging is also standard equipment – nobody else offers that. We’re ahead of ourselves though. 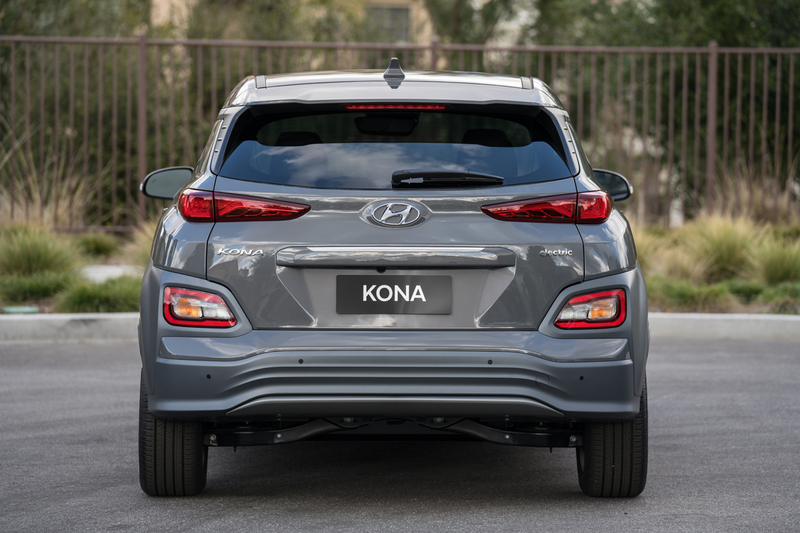 Perhaps the best attribute of the Hyundai Kona Electric is that it’s based on the already well acclaimed Kona compact crossover that has styling, handling, comfort and accolades already stacking up. 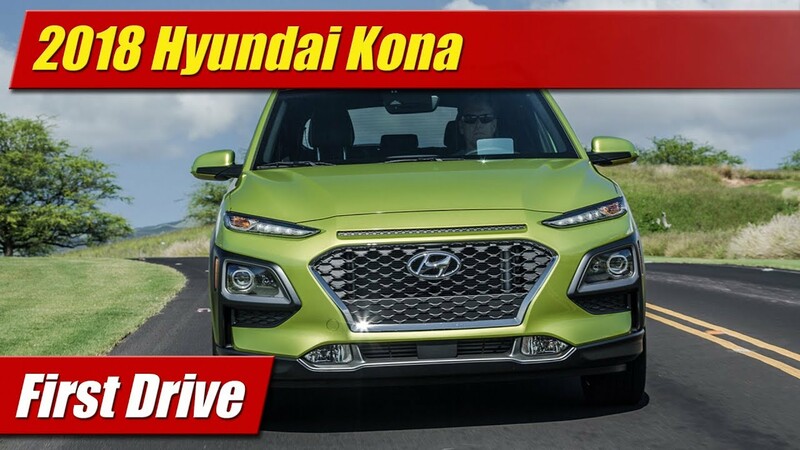 It’s styling is of course unique with its own grille and facial features, 17-inch wheel design different, and more aerodynamic touches to achieve a .29 Cd that helps extend its range out in the top-speed highway universe. Futuristic LED lighting all-around also helps bolster its forward thinking bent. The electric charging port is located in its grille for easy drive-in access to most chargers at public spaces. Unique color combinations will also be available with bright hues and even a two-tone color scheme or two. 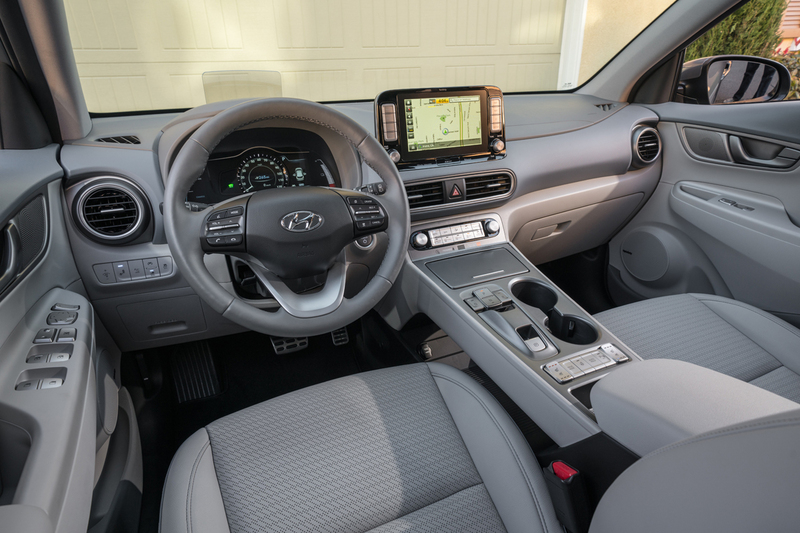 Because the battery resides largely under the passenger compartment, the interior space and cargo volume is unaffected from the standard Hyundai Kona. 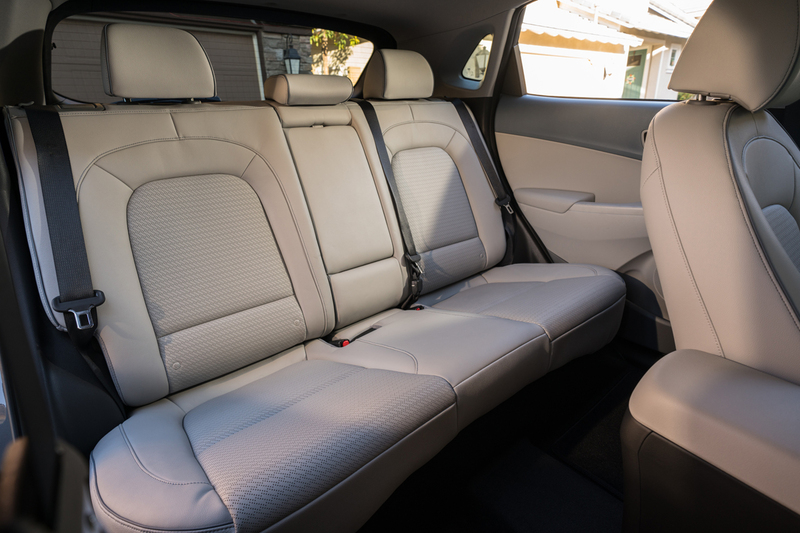 Styling of the cabin is revised with differentiated seating fabrics, colors and finishes to separate it visually. 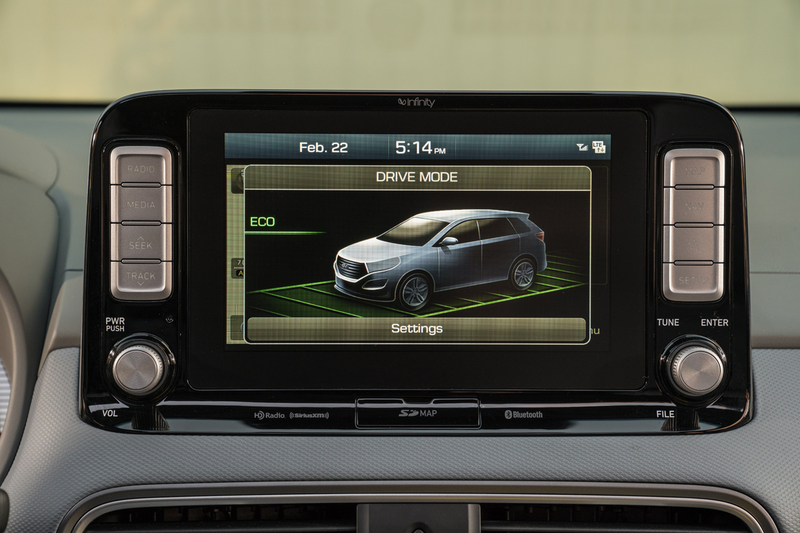 The dash an instrument cluster also feature content and information displays custom tailored to the electric propulsion system and the drive mode selector is well different than that of the gasoline model. 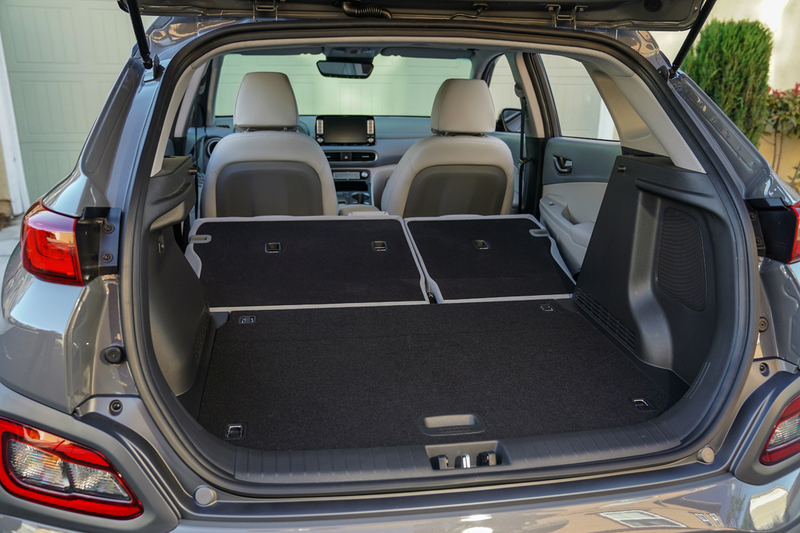 For the purposes of living with it every day, the rear seat folds down flat just as in the gasoline model with some 19.2 feet or rear cargo volume. 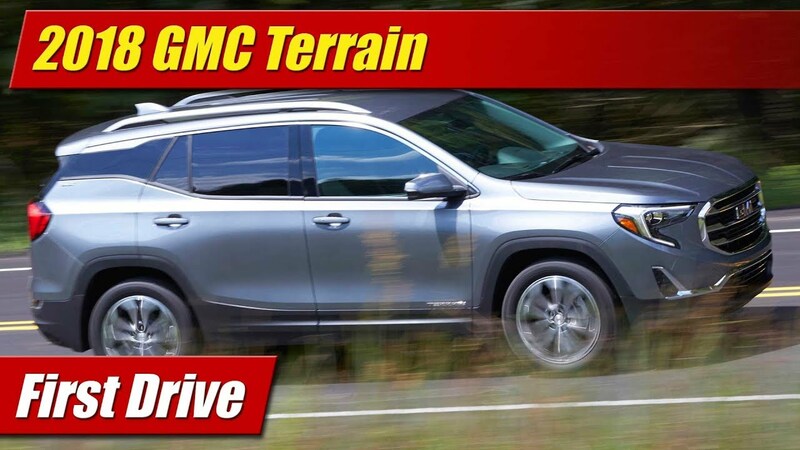 While it has the longest standard range of its competitors it didn’t skimp on power. Under its hood is a 201 horsepower permanent-magnet electric motor with 291 pound-feet of torque that sends power to the front wheels. 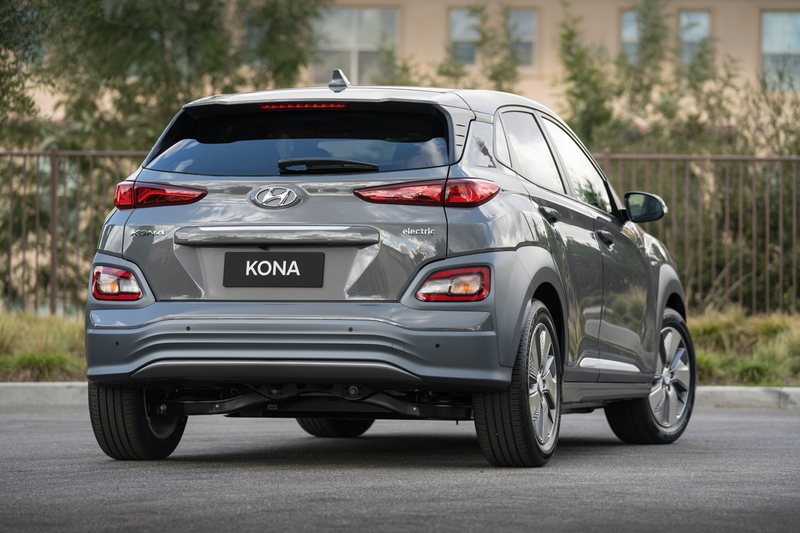 Backing that up is a 64 kWh lithium-ion battery system that’s liquid-cooled and operates at a zapping 356 volts. 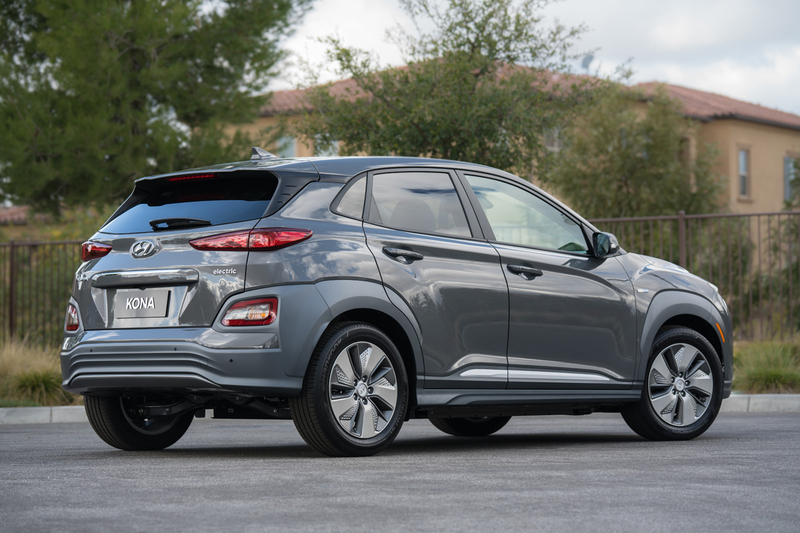 Hyundai tells us it should net an EPA rating of 117 MPGe. 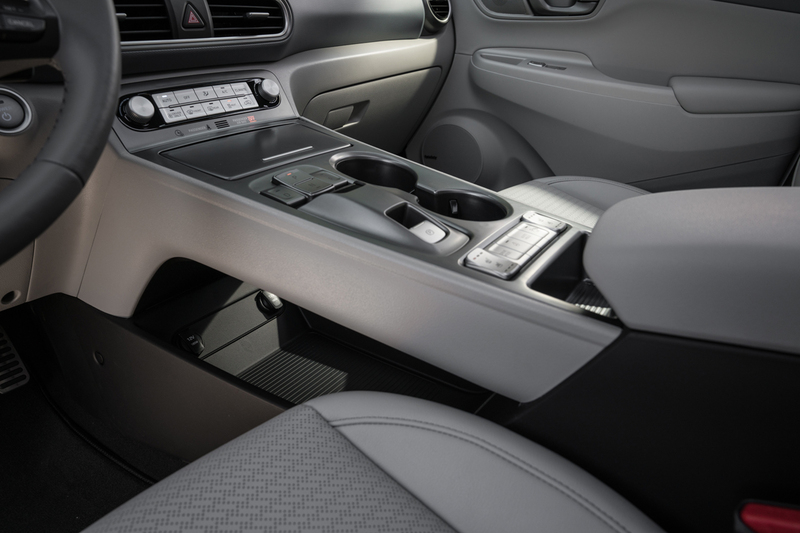 With its on-board charging system it can see an 80% charge in less than an hour with a Level III fast charger. A Level-II charger takes about 9 ½ hours. 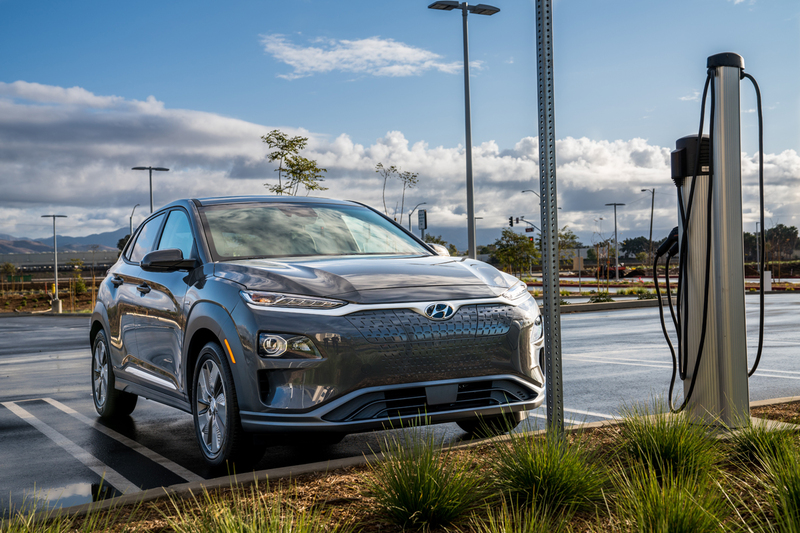 The 2019 Kona Electric goes into production at the company’s Ulsan, Korea assembly plant and will arrive first in California late this year. It will then slowly make its way gradually to other mostly big-city coastal states in the West and North East where electric cars are well supported by charging networks. Pricing will be announced closer to that time.